It’s been a while since we have written an article for our “A Quick Look at” series. This time we are focusing our attention on Hello Game’s interesting No Man’s Sky, a game that captured the world’s attention at the VGX awards show on 7th December 2013. 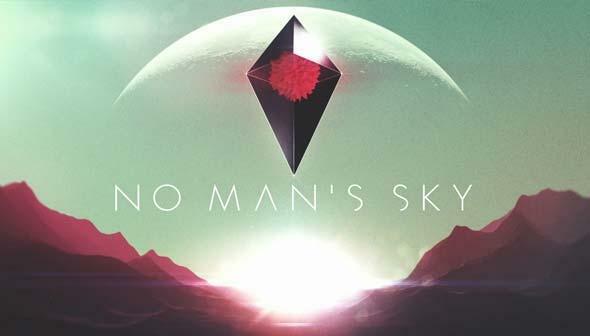 So why did everyone, to Hello Games’ surprise, freak out at the sight of No Man’s Sky? Simple. The game allows you to openly travel around an infinitely generating universe, seeing things before anyone else has and lets you do pretty much what you like, however you like, in said universe. It sounds like a tall order, even for a big developer, to produce a game that could take over 5 billion years to discover everything, but even more so when you learn that the UK based Hello Games only has 10 members of staff working on the title (it started as a 4 person project!). That’s a producer, a designer, 4 artists and 4 programmers. That’s pretty jaw-dropping, don’t you think? Before No Man’s Sky, Hello Games worked on the Joe Danger series, which consisted of several iterations of a clever and well-made 2.5D bike platformer, with the first two entries receiving rave reviews. And that’s precisely what No Man’s Sky sets out to do, create an open universe where if you can see it, you can explore it. It’s a tantalising, mouth-watering proposition for an epic and endless journey through worlds that maybe no one has even imagined yet! Every creature, plant, geological formation and spaceship is unique. You can share those discoveries too with other players, ask you desperately seek out an unexplored frontier or build up your strength in a better known part of space. That’s all while you’re trying to survive out there too. Every possible location has some form of danger and you’re just you, a vulnerable wanderer of the universe, with every encounter testing your ability to survive. One mistake and you could lose everything. Think of it like Dark Souls, but on a galactic level, with every victory and defeat affecting you’re overall progress throughout. Survival is also deepened by the need to collect precious resources to improve your suit, ship and equipment. There’s a truly endless scope to help you survive to a truly endless world. Let’s also not forget that the game just looks absolutely gorgeous. No Man’s Sky doesn’t just stick with dark looking scenery or brownish backgrounds, it takes a look at every colour you can think of and splashes everywhere. It allows the designers to take something surreal, and make it even more so. Even something as simple as orange coloured grass can make a whole terrain look like some form of hallucinogenic trip. Even better is that if something looks too trippy, you can just jump in your spaceship and fly through the clouds and into outer space. Generation defining is a term we rarely get to use in the industry, but No Man’s Sky has everything already laid out in front of it to be just that. The game’s ability to endlessly provide something new is easily the most important and exciting feature, but we’re also looking forward to just how Hello Games is going to make us survive in the vast universe it’s creating. We’re eagerly awaiting a release date and final confirmation of the platforms (although it’s looking like a PS4 exclusive for now) and as soon as we know, you’ll know.